Add this high quality Safavieh Courtyard area rug to your home for an instant splash of style. Decorate the right way with this indoor/outdoor piece constructed from plush synthetic material. The machine-made construction of this area rug is sure to withstand wear and tear. 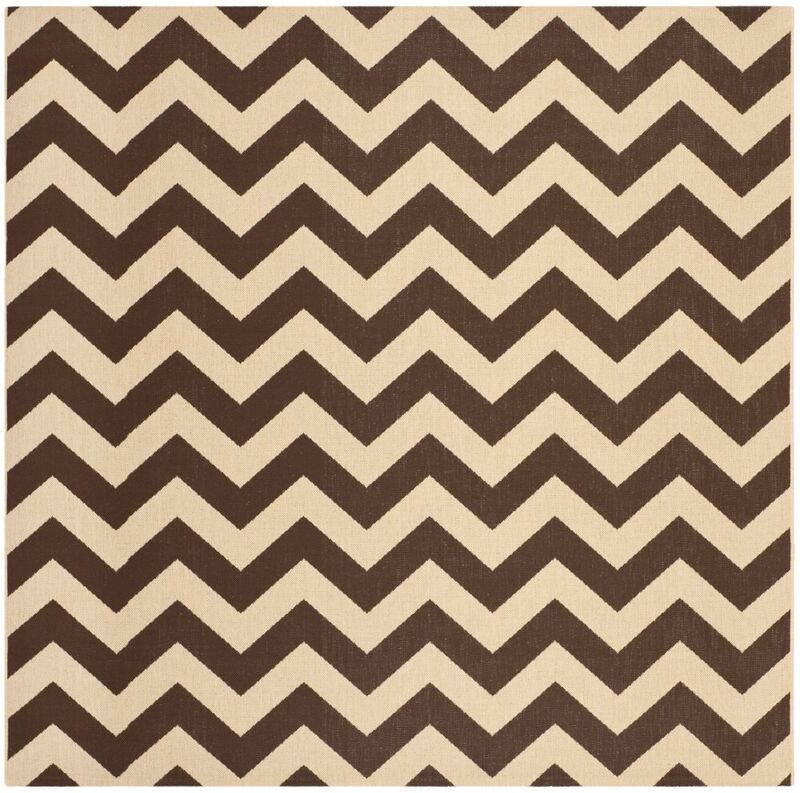 Quality interior design comes in the form of this geometric patterned brown rug. Courtyard Jax Dark Brown 7 ft. 10 inch x 7 ft. 10 inch Indoor/Outdoor Square Area Rug This Safavieh Courtyard area rug infuses contemporary style into any room in your home. Designed as an indoor/outdoor piece, its plush synthetic material will make you feel cozy and comfortable. Contemporary comfort comes in the form of this machine-made rug. Include this geometric patterned brown rug in your living spaces for a high quality and high fashion look.